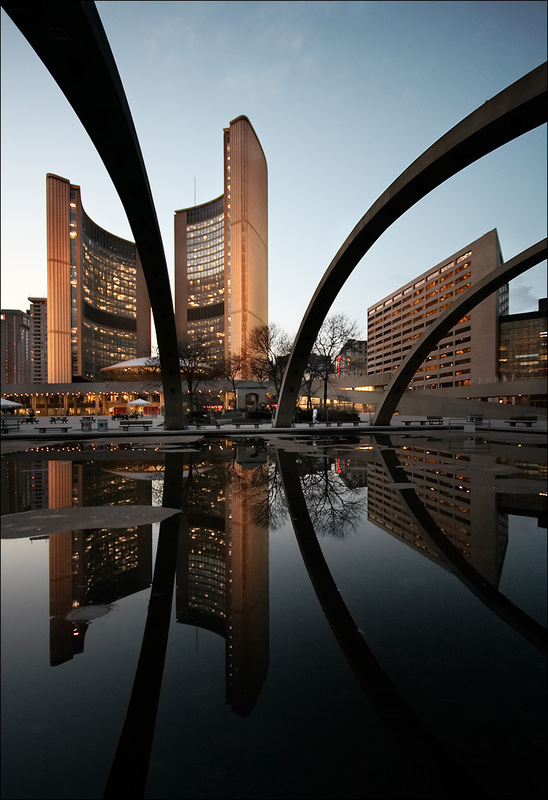 City Hall reflected at Nathan phillips Square. Tomorrow Contact Photography Festival opens. I don't have any solo shows this year but one of my photos will be in the festival's official launch at Brassai on Friday as part of BlogTO's sponsored Constructed Image of Toronto exhibition.